This is a signature volume chronicling the history of the Twin Cities Catholic Chorale, founded in 1955 by Father (later Monsignor) Richard J. Schuler. The Chorale is now in its 42nd season of singing with professional orchestra the great Classical and Romantic Masses of composers like Mozart, Haydn, Beethoven and Schubert, as a part of the Holy Sacrifice of the Mass celebrated in Latin at the Church of Saint Agnes in Saint Paul, Minnesota. This book also recounts the important role that Monsignor Schuler played in the area of sacred music in the post-Vatican II Church. It was his heroic commitment, through word and deed, to the authentic implementation of Sacrosanctum Concilium, the Second Vatican Council’s document on music and liturgy, that helped keep the patrimony of Catholic sacred music alive in the United States for a new Renaissance. When Monsignor Schuler was accused of living in the past, he often said that he was rather forty years ahead of the times. And he is being proven correct. “Though the artistic heritage of Catholic sacred music was acknowledged and encouraged (by the Second Vatican Council) …as a treasure of inestimable worth, five decades after the last Council the musical tradition of the Universal Church has in fact been eliminated from Catholic sanctuaries and choir lofts…except at the Church of Saint Agnes in Saint Paul, MN. 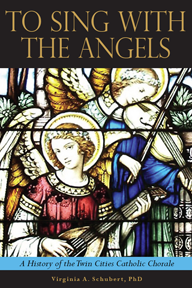 This book explains how and why that happened.” - Reverend Robert A. Skeris, Director for Ward Method Studies, Benjamin T. Rome School of Music, The Catholic University of America, Washington, D.C.